Set of 2 palm buttons with logic, two-hand no-tie-down control. Working pressure range 80-100 PSI, 40 mircon filtered dry non-lubricated air. Gives a maintained output signal when both buttons are pressed and held. Compact design with 1-3/8″ push button (recessed 1/4″). Mounts vertically or horizontally; no mounting bracket required. Light actuation pressure (5 OUNCES). 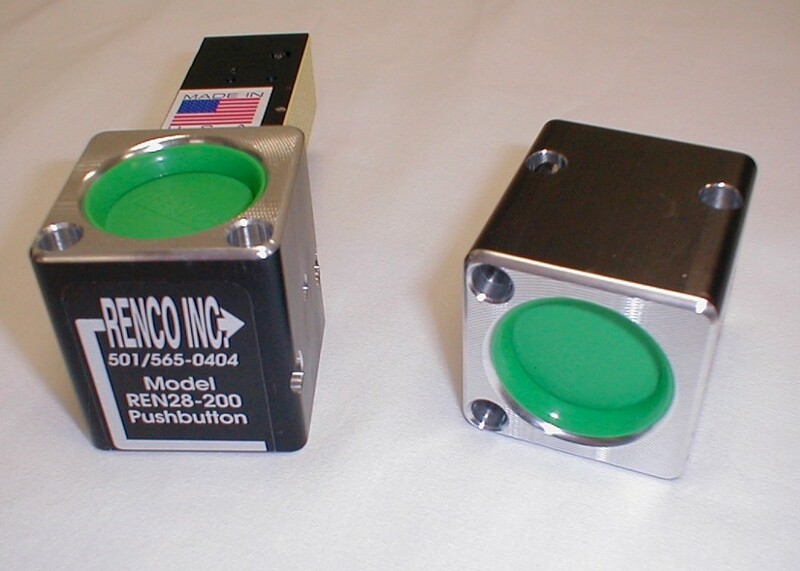 The SERIES REN28-SET is two separate palm buttons that use our light touch buttons. Attached to one palm button is our logic module. They are easy to install: mount securely then connect a supply line to each #1 Port. Next connect #2 to #3 port, port #4 is output. 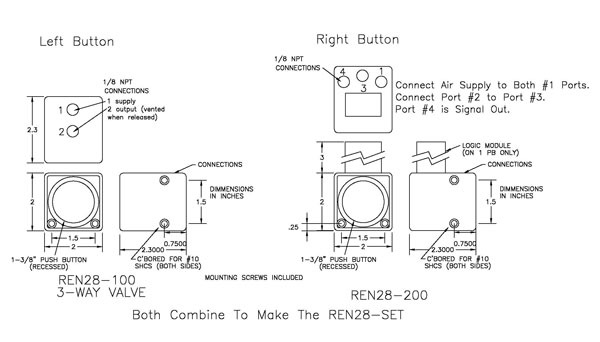 REN28-SET FOR BOTH PALM BUTTONS. -C Cancelable output. An input from a pressure or limit valve will cancel the output. Download and save this file as a PDF file.